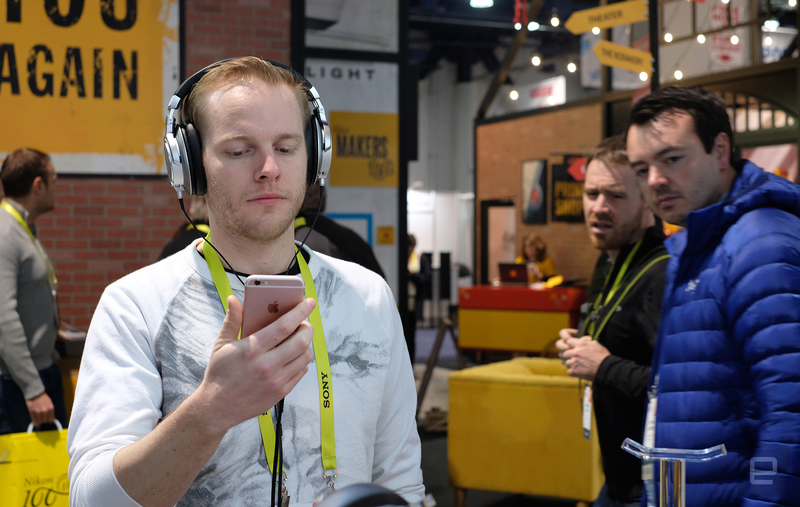 There's a constant divide at Engadget between those who care about audio and those who don't. I (that's Aaron) fall mostly in the first category: I appreciate high-end headphones, but my budget typically leaves me with pairs costing $200 to $300. My current daily 'phones are AKG K702s for home and Master & Dynamic MH30s for out and about. My colleague Mat Smith couldn't be more different. He uses a mix of unremarkable Sony earbuds and Bluetooth headphones and responds to "audiophile" conversation with a bespoke mixture of groans and eye rolls. This CES, I decided to spend a morning getting him excited about headphones. It went ... OK? The rules were simple and our methodology entirely unscientific. We would travel from booth to booth, listening to a single track over and over. Because we're mean, the Engadget CES team deemed Mariah Carey's "All I Want For Christmas Is You" the perfect fit, despite the holidays being long gone. 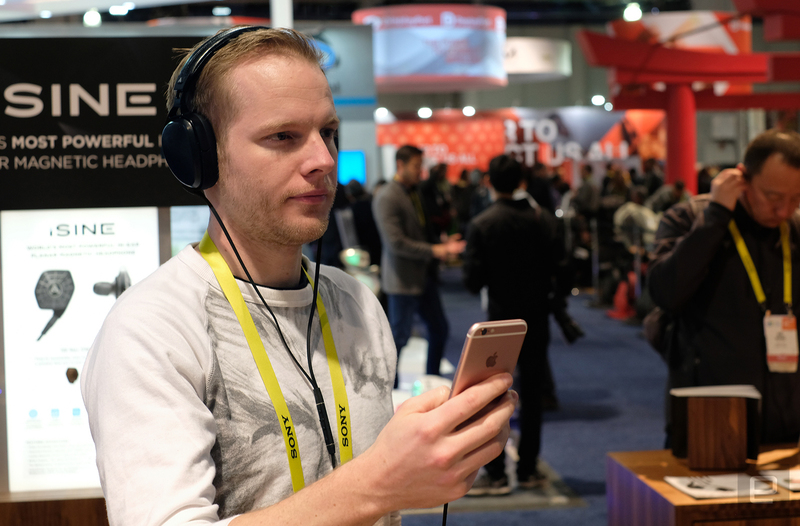 After adding a 1,411Kbps (16/44.1kHz) FLAC file to my iPhone, we headed onto the show floor, stopping at Sennheiser, Audio Technica, HiFiMan, Audeze and Klipsch. In general, I was looking for portable headphones that work well when connected to a phone. For each listen, I had Mat tell me his thoughts before we moved on to the next booth. Aaron: We visited Sennheiser first for no reason other than it was closest to the front door. I paired Sennheiser's latest wireless headphones, the HD4.50BTNC, with my phone; switched off noise cancellation; and gave them to Mat for his first dose of Mariah. They're fairly functional cans but don't excite me massively (their main selling point is noise cancellation, which I have no use for). Mat: It's my first listen, so there's nothing to measure against. The track sounds rich, but there's nothing I can call out explicitly. I don't like cans: They're uncomfortable. Aaron: After Mat's uninspired response to the Sennheisers, I figured it was a safe bet that Audio Technica's SR9s would at least sound different than the HD 4.50s. I was a little worried that they wouldn't sound great on an iPhone, but the Audio Technica rep said they'd be fine and any fears were allayed by a quick listen. They seemed rich and sharp to my ears. Mat: Ugh, more cans. The song had more depth, and the treble stood out a lot more. Mariah even hissed a little bit. I could hear the components of the track better than with the Sennheisers. I think these are better, but I need more. Aaron: Now that I'd gotten Mat to at least acknowledge that there were differences among headphones, I wanted him to experience the change between open- and closed-back cans. HiFiMan's Edition S are portable headphones that switch from closed to open back with the removal of magnetic side plates. In general, open-back headphones offer a wider, more neutral sound, at the cost of bass response and noise isolation. We began the test with them closed, and after a couple of minutes I removed the covers before placing them back in for the song's finale. Mat: The difference is almost indistinguishable. The song sounded tinnier with the covers on. When you took them off, it all became richer, somehow airier? Does that make sense? It definitely sounded better open back, but I was afraid of the sound leak. I listen to a lot of embarrassing crap, so this is a concern for me. 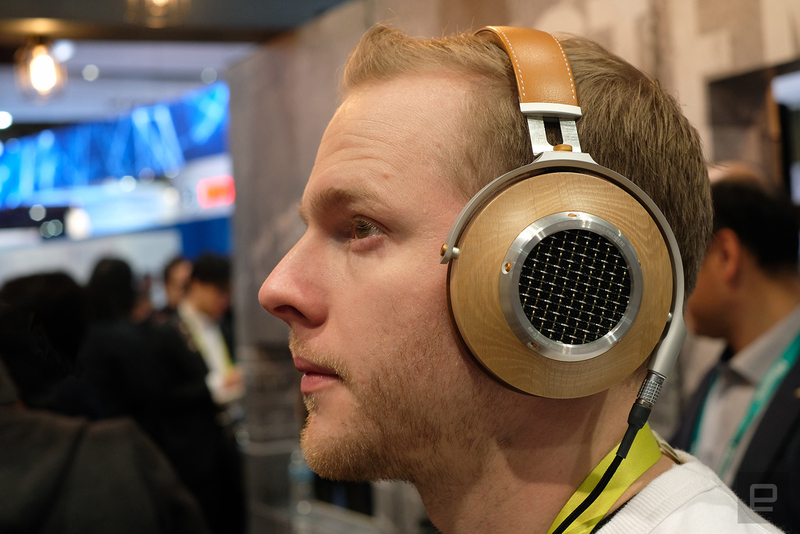 Aaron: Knowing that Mat has an aversion to over- and on-ear cans, Audeze's iSines were high up on my list. I tried a pair briefly a few months ago, and they're like no in-ear monitors (IEMs) I've heard before. The planar magnetic drivers inside them result in low levels of distortion and a much more crisp sound than you'd expect. They're also capable of getting ridiculously loud. Mat: These were confusing. They didn't sound like any in-ear buds. They sounded different than what I'd heard so far. I felt the bass was a bit lacking, but maybe that's because I came from on-ear cans immediately before. Still the audio was powerful, strong. The sounds seemed crisper. I was surprised by the power. Aaron: The breakthrough had happened. 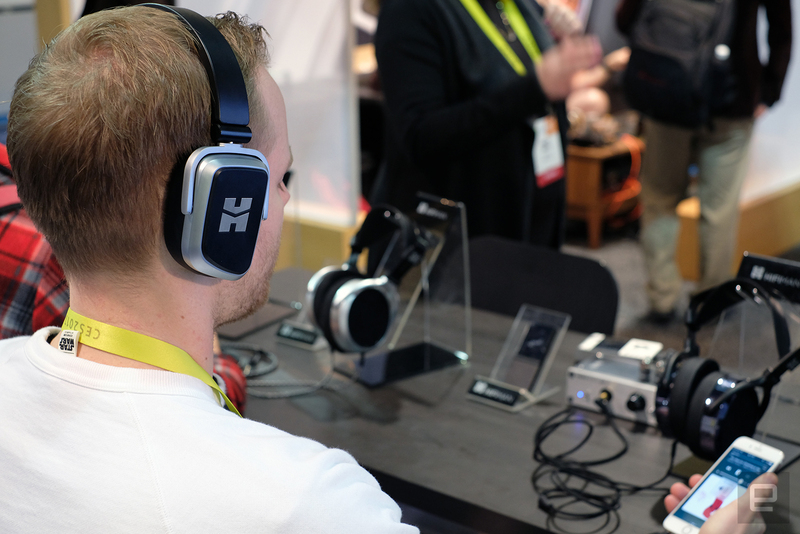 Mat was actually excited about a pair of headphones, and now it was time to demonstrate how big a difference Audeze's in-wire DAC made. I swapped out cables, connected him up to my iPhone's 3.5mm jack and let "All I Want For Christmas Is You" play out. Mat: Yuck. Completely different. Sounds like any pair of loose-fitting cans. I think the downgrade is especially noticeable because I hopped to the 3.5mm jack mid-track. It sounded grayer, flatter. Meh. 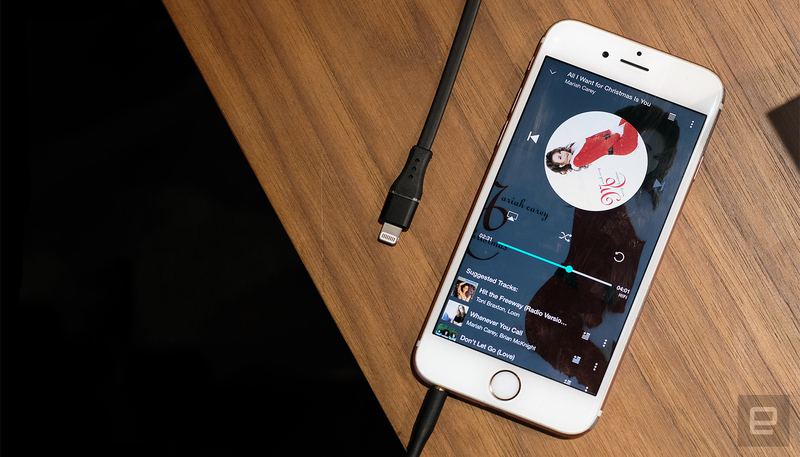 That test makes a persuasive argument for fair-weather listeners like me to lose the headphone jack. Aaron: I think that last test was a little unfair. The iPhone probably didn't have the power to make the Sines sound good, as I know from experience that they're still good headphones without the Lightning adapter. For our last show-floor test, I gave Mat what should have been a delightful pairing: Klipsch's new $1,000 Heritage hp-3, connected to my phone via a tube amplifier. It's anything but portable, but I figured we'd go out on a high note. Mat: These look nice and feel comfortable too. The track sounds deep and rich, but nothing particularly stands out. 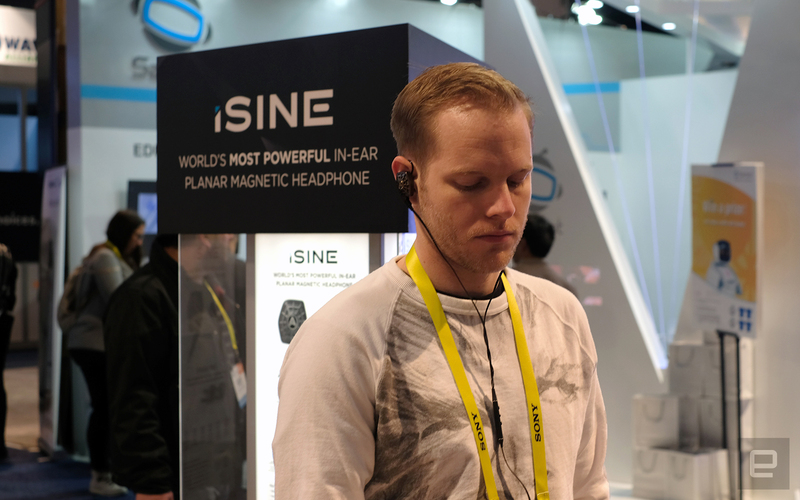 I think I was spoiled (or at least distracted) by the planar headphones before. Aaron: OK, so it turns out Mat actually has good taste. I did the one-two listen on the Sines and Heritage hp-3 and was also way more impressed with Audeze's cans. 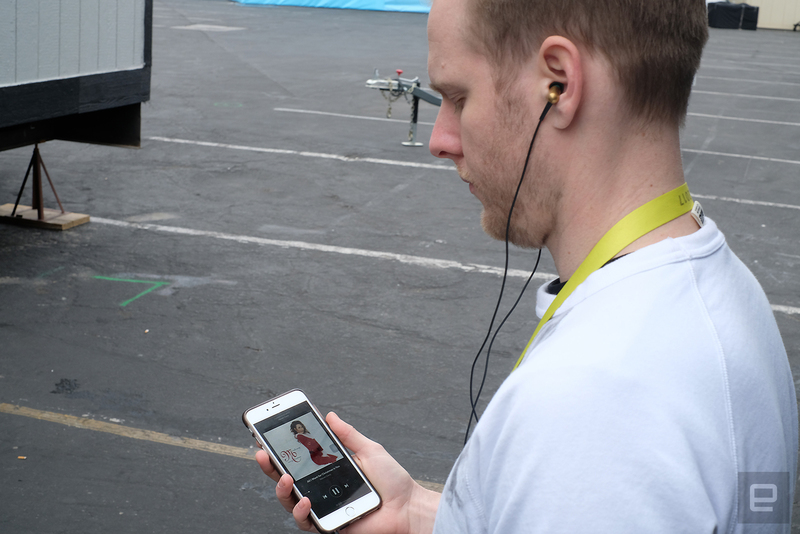 To finish off our little adventure, I had Mat go back to the trailer and listen to the same track on his phone with his earbuds, using standard Spotify streaming (as he is wont to do). Mat: These are my regular listening headphones. Treble's fine; the bass doesn't feel as rich as the headphones I've tried today. The track also doesn't sound as natural. While punchy, the richer orchestrated parts sounds a bit thinner. Mat: I know how terrible some headphones sound, but I'm more than happy with my current set. Yes, I expected more-expensive headphones to sound better -- that was a given. However, I was surprised that I was able to notice differences among headsets at prices way above my usual headphone budget. Will it change how I shop for and buy headphones? I'm not sure. I far prefer in-ear buds to cans (my ears get sweaty), and listening to music through any kind of headphones is something I do when my attention is mostly elsewhere -- while working, at the gym, during my commute. That's why it's harder to justify spending more on them. Aaron: I feel thoroughly vindicated here. I'm pretty certain Mat's not going to run out and buy a pair of $500 cans, but I'm at least hopeful he won't point and laugh if I do. 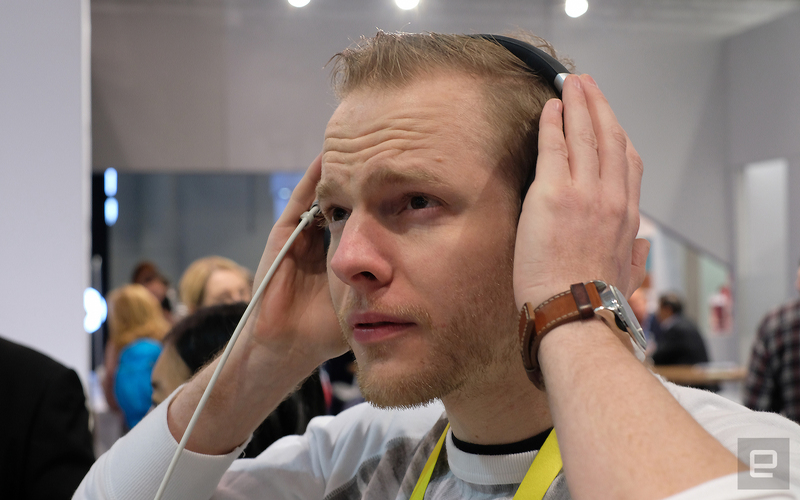 Mat: There is an aspect of premium headphones that I am intrigued by: Many of them come with lifetime guarantees. I go through my middleweight (or even boxed-with phone) headphones at a rate of about a pair per year. Maybe a pair of more-expensive headphones would be worth it in the long run. Even if I change, then, audio quality would be the secondary benefit. Aaron: Mission ... accomplished? Kind of? I'll take it.